Love working out and looking for a delicious recipe to complement your workout? 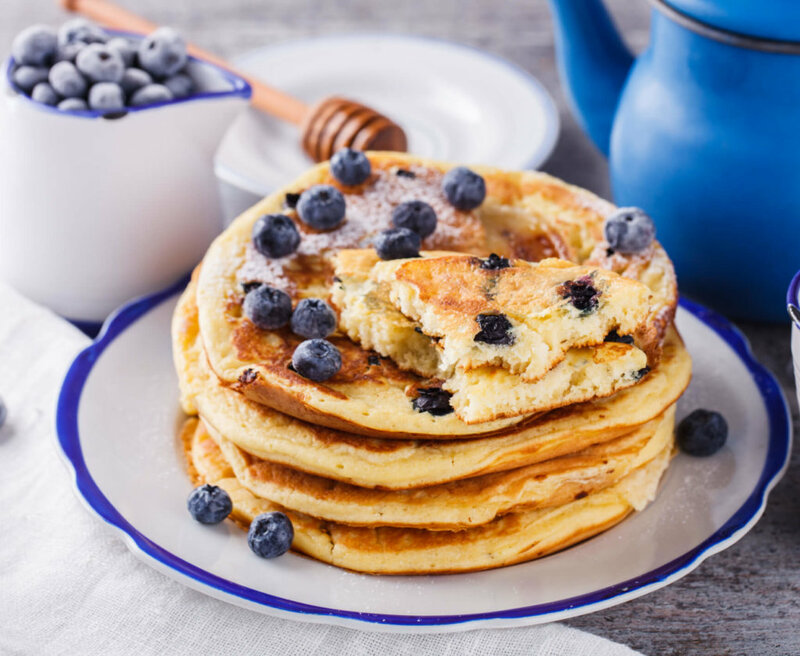 This healthy pancake recipe is packed with 25g protein and is super easy to whip up for a quick breakfast. Optional- Blueberries or mixed berries as topping. Put the banana in a bowl and mash with a fork. Mix all other ingredients until well combined. Spray a medium-sized skillet with nonstick spray, then place on medium heat. Pour in batter. Once you see tiny bubbles appear on the top of the pancake, flip. When each side is golden brown, the pancake is ready to be served. Top with blueberries and enjoy!